There has been some interest expressed in a Matchbox kit themed Group build over on this thread. Any way, based on the interest, and the sage advice from Jan in the thread, I am proposing the build here. Open to any genre any scale, as long as it is a Matchbox Model Kit, a re-issue of another manufacturers kit under the Matchbox Logo i.e. Renwal, or a re-issue of a Matchbox kit under another Brand - i.e. Revell. Re-painting of die cast models is not the intention of this build. Can be out of the box or modified/enhanced as long as the significant majority is still the original kit. Build will also be open to part started kits - lets see some love for the shelf queens. Please post your interest here. So far, from the other thread we have 5 takers. Only difficult thing is to choose what kit to build. I have a few armour and aircraft in planning stages to build over the next few months. I grew up on Matchbox. I swore off campaign's due to a procrastination issue. Maybe this one might help me through my issue. Go ahead and count me in. I do have several wingy/flying thingy Matchbox kits. Do those count or just the dirt/crawly kits only? Our Motto: I will get over my procrastination. You just wait and see. "By George I thinks he's finally got it!" Counting the three people who have expressed interest here and myself with the five you mention we now have nine interested parties. That puts things one short of asking for official approval. The award icon looks interesting but lets see if anyone else has a thought on one/it. Someone might also like to create an (advertising) banner for enlisted members to add to their Kitmaker signature area. These should be 500x200 pixels size. Might I suggest we start the campaign a bit earlier, say December 15. That way you can leave the year date associated with the campaign. Both campaigns that I've run and others that I've been in always seem to run over few weeks and/or people ask for extentions. Plus, after New Years is always a pretty dull time of year in the Northern Hemisphere. Now is also the time for anyone to voice their opinion on any rule changes or additions. Pete, being a campaign leader can be interesting but also rather challenging. My question still stands. Is this for 'Anything' Matchbox kits or just ground/armour kits? I have been combing my stash and I don't have any Matchbox armour/ground kits but a quite a few aircraft kits. I did find I built a M-7 Priest a few years back. I don't want to have to withdraw if I don't have anything to build. Count me in too - never entered a campaign before! Many memories of these mini diorama type kids as a kid - my favourites were always the LRDG set and the French tanks! Built straight from the box, as a proposal from me...?? It appears that unless Pete decides otherwise I'd say "any genre" totally clears the way for anything Matchbox related (vehicles, planes, ships, you name it). To keep the "spirit" going I rummaged through a few boxes in the cellar and look what I found? Bring back any fond memories for anyone? Not saying I'll choose this kit although the decals don't look too bad but it's a different option for yours' truly at least. Lets see what other gems are hiding out there? BTW, I have the nearest thing to the Matchbox Bible in case anyone might need to know if their choice is on the Official LIST. EDIT - Just found two PK-413 boxes(CH-47D) with one partly started and one untouched. The Chinook is one I've been after for ages. Always wanted to build that early 80's RAF scheme with the oversized Union flag on the tail. Would be great to see someone build it. Has a proposal thread for the campaign been started on aeroscale, ship and auto modeler? We may get lots more join up. At the moment I'm considering the Skyknight as I recently bought decals for a Vietnam jamming version and one of the 1/76 armour kits. Wow, a quick count to 10, usually this takes longer. Thanks all. Great to see so many interested. Robbie, definitely open to aircraft. As Jan said, 'any genre' so that is 'dirt/crawly' kits, 'Flak targets', 'floaty things', 'horse-less carriages', etc. I submitted a campaign proposal to the moderators a couple of days ago - I did this all the wrong way around not knowing correct protocol which Jan has helped me sort out - and the page said it might take a bit of time for them to address it. Hopefully a fully fledged enlist here link soon. Bring back any fond memories for anyone? Peter, what a great box Art. 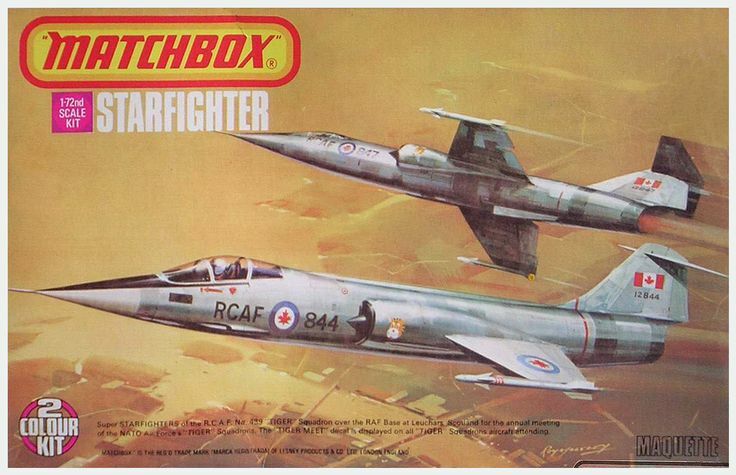 Most of my early kits were from Matchbox (mostly planes). So I have to be in. I found a Matchbox/Revell PUMA 1/76 kit. Would this fit? Now that’s the spirit guys, oh, good morning Pete. it seems the reason I have two Chinooks was that the started kit has a short-shot rotor blade. I now remember trying to make a replacement from sheet styrene but I now wonder where that went? And yes Stephen, it is or they are the kits with the large tail flag. Absolutely Oliver. That brings back memories too! I now remember trying to make a replacement from sheet styrene but I now wonder where that went? Yes, I was up with the sparrows this morning, brain was probably with them in the last few days too. The replacement was about 3/4 carved but we had to pack things away as we had major work done in the hobby area. No Carpet Critters we’re responsible just a forgetful modeller. BTW, 13HRS time difference between us. Wow, lots of memories... I remember taking my bike to the neighboring town and spending my savings in the local toy and hobby shops (yes, we had several options at the time!) on all kinds of Matchbox, Fujimi, Hasegawa, and Esci kits. Nice. My first kit built. That was really fast work getting the campaign enlistment page up John. Thank you very much.